for $350,000. This home was built in 1900 on a lot size of 0.11 Acre(s). Sit back and collect the rents! 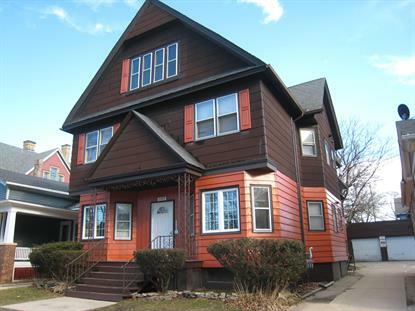 This 7 unit apartment building is close to Lake Michigan and across from West Park. New electric service (2019) includes building service, garage restoration with roof and parapet work, wiring includes courtyard lighting. Newer roof on rear addition. Replacement of all hall and stairway lighting with LED fixtures. Water, plumbing and electric is in the expandable attic for additional income. 3 car detached garage and coin-op laundry for additional income.